Bank of Valletta has been named the Preferred Partner of Valletta 2018 Foundation, leading up to the European Capital of Culture in 2018. 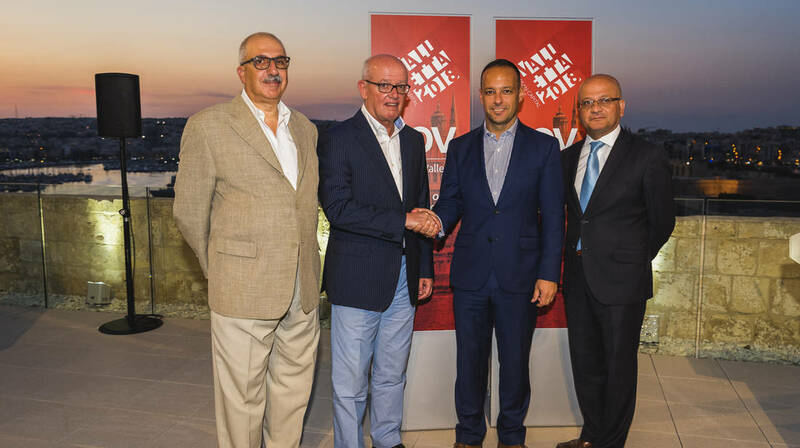 The corroboration was announced during a ceremony fittingly held at The House of The Four Winds in Valletta and addressed by BOV Chairman Deo Scerri and Valletta 2018 Foundation Chairman Jason Micallef. Hon. Owen Bonnici, Minister for Justice, Culture and Local Government, Parliamentary Secretary Deo Debattista and Mr Mario Mallia, Chief Executive Officer of Bank of Valletta were amongst the guests invited to this event. Mr Jason Micallef thanked Bank of Valletta for its support and said, “We are delighted to have Bank of Valletta as our partner through this journey. As we get closer to 2018, the level of interest and participating in the activities being organised continues to grow. Our close collaboration with the Government, public authorities and the private sector is aimed to prolong the positive effect and having a long-lasting legacy for European Capital of Culture 2018 and beyond.” Mr Micallef highlighted that the work of the Foundation will not only help the public in general but will also help organisations fulfil their corporate social responsibilties to protect and grow our culture and heritage. Tracing the indelible links between the origins of the Bank and the Capital City, Deo Scerri said, “The Bank’s link with the Capital City goes beyond the adoption of the name ‘Valletta’ in ours. The patronage of arts and culture, as well as significant conservation projects have been featuring prominently in the Bank’s Communtiy Programme for decades.” He said that the Bank looks upon this role as integral to its commitment towards the community, as is its responsiblity to continue growing sustainably and supporting the local economy and key players to grow.